3. Carillon at Boulder, Boulder, CO. This new retirement community in the heart of Boulder has 117 units offering assisted living. The monthly cost includes meal credit, cleaning and emergency services, transportation and access to recreational programs such as brain fitness. One of the highlights of the community is its access to social and cultural activities. 4. Harmony Village. 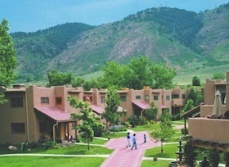 Golden, CO. a small cohousing community located in Golden which is open to all ages. There are 27 townhomes, a common house, and open spaces. It also features a community garden, a fruit orchard, bee hives, a rock labyrinth and a winding stream. The Common house is the hub of the community where residents share meals, a laundry and exercise equipment. It also houses two guest rooms. 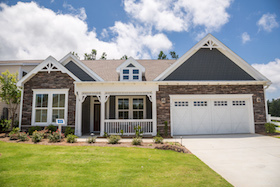 Homes are set around a central pedestrian walkway and are priced in the $200’s. 5. Lost Dutchman. Apache Junction. 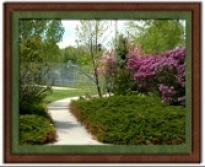 With three community centers and a wide range of outstanding amenities, residents in this 55+ RV/mobile home/manufactured home community have plenty to do in this retirement community. Residents enjoy a dip in the pool or just lounging poolside in Arizona’s famed climate. There is a weekly Jam Session at the clubhouse. 6. Stonebridge, Colorado Springs, CO. A 55+ active adult lifestyle community tucked into the heart of Meridian Ranch, a 2,600-acre golf and recreation master-planned community. Residents will enjoy their own private clubhouse, community park, garden and trails, plus all the amenities of Meridian Ranch. 8. Rancho Mirage. Apache Junction, AZ. 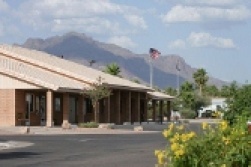 A 55+ active adult, manufactured home community near the Superstition Mountains. 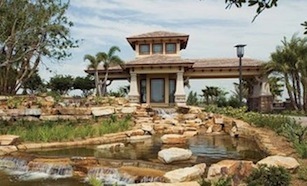 Residents enjoy variety of resort-style amenities and a calendar full of planned activities and events. Outside, there is a heated swimming pool and spa, lighted tennis and shuffleboard courts. 9. Lake Las Vegas. Henderson, NV. 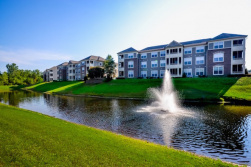 This very large new urban community surrounds a freshwater lake and is home to 19 distinct neighborhoods. The community includes marinas, hotels, and a village with shops and restaurants. The Jack Nicklaus designed Golf Club is considered to be one of Las Vegas’ best. Mediterranean architecture is seen throughout in custom homes, courtyard homes, waterfront homes, golf villas and luxury executive homes. Open to all ages. 10. Sunflower. Fort Collins, CO. 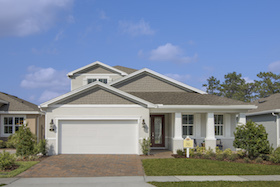 Affordable is the word in this active adult community of 190 manufactured homes. 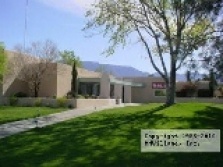 It is pet friendly, has 2 car garages, no renters, gated community, and a large and beautiful clubhouse. Age Restriction: 55+. Affordable homes priced in the $100’s. 11. Wolf Ranch. Colorado Springs, CO. Situated in northeast Colorado Springs and open to all ages, this new urban community sits at 6,500 feet in elevation. Residents love the spectacular views of the Rocky Mountain Front Range and the city. Wolf Ranch boasts parks, open spaces, trails, a recreation center and a dog park. 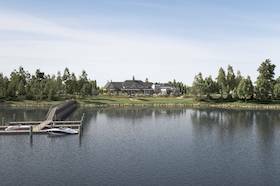 Plans for the community include more open space and parks, over 10 miles of trails, additional recreation centers, and a 14-acre lake at the town center. 12. 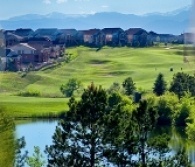 Heritage Eagle Bend, Aurora, CO. A beautiful master-planned community designed for residents 45 and over. 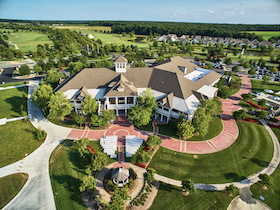 This gated country club community offers a variety of ranch-style single family, duplexes and townhomes built around an 18-hole championship golf course with a driving range. The original development is sold out, resales are available. 13. Villas at Pleasant Valley – Aurora, CO. Located northeast of Boulder, this community features ranch-style patio homes and maintenance free living. Clubhouse activities include classes, potluck dinners, seasonal parties, and special occasion parties. Home prices in mid $200’s. 14. Hover Place – Boulder, CO. This community is organized by a Colorado non-profit corporation for Longmont’s seniors to “age with dignity”. Six Luxury Tudor Style 2 story buildings for seniors 60+. Mountain views, no steps. Elevators, oversize garage and patios, secure entries, gardens, walkways. 15. Quail Run – Santa Fe, NM. A gated community open to all ages with pueblo style architecture, it is popular either as ideal a year-round or seasonal residence. It offers fitness, golf and dining amenities. Amenities include a 9 hole golf course, tennis, fitness center, lap pool, and dining at the Grille. A note about how this list was compiled. To develop it we reviewed our site logs from July to the end of December, 2018. The communities whose web pages were visited the most were the winners. In a few cases, the communities advertise on Topretirements.com, which means they had a better chance of being noticed. Note that various other factors could have influenced the popularity, such as when they were added or updated on our list. In summary though, we believe the choices represent a fair example of the many different kinds of 55+ and active adult communities available. Comments? Do you think there are other Southwestern active adult or 55+ communities that should have made this list? Please share your Comments and observations below. I wanted to get some reviews of the Del Webb Communities in California. Any chance you could review and provide information on them? I’m hoping to see similar articles for the North West and North East. Those are parts of the country where we enjoyed our best vacations. Editor comment: Thanks for the suggestion. We’ll work on that. If you go to the Topretirements.com website you’ll see Search Retirement Towns by State. You can use that to search several 55+ communities. You can also use the search bar to look for any articles in which your preferred areas are mentioned. You may also want to post your question on the Forum under your preferred state. You can find it in the drop down menu.